Almost 55 years ago, back in 1953, it was James Watson and Francis Crick that presented the Double Helix structure of DNA for the first time. The concept of Double Helix DNA was indeed a great finding and opened the doors for DNA related advanced technology like DNA analysis, DNA synthesis, DNA sequencing and etc. To understand the double helix DNA, imagine a ladder. Then the side of a DNA consists of a series of sugar (deoxyribose) and phosphate molecules called nucleotides. They are monomers. 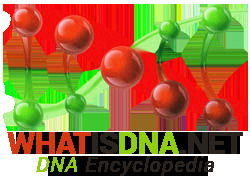 DNA is coiled because of the Hydrogen bonds between phosphate molecules. Rungs consist of four different compounds; Adenine (A), Cytosine (C), Thymine (T) and Guanine (G) called bases. They are heterocyclic nitrogen compounds and are of two categories, purines (double-ringed configuration) and pyrimidines (single-ringed configuration). A, G are purines and C, T are pyrimidines. Each rung in our hypothesized DNA ladder is of two bases, one from each strand meeting in the mid (longitudinally). They attract each other in four possible combinations A-T, T-A, C-G, and G-C. This is called base pairing rule, meaning purines combines with pyrimidines. There is weak Hydrogen bonding between them. There are two hydrogen bonds in A and T, three hydrogen bonds in G and C.
The base pairing rule of the double helix DNA is based on the realization that if there is any other arrangement of bases then they either wouldn’t fit between the sugar-phosphate strings (purines- purines combination) or they would fit but would be too far apart (pyrimidines-pyrimidines combination) and there would not be an effective hydrogen bonding between the bases. Order of bases on one strand decides the order of bases on the other strand and each strand can be used as a pattern to make a complementary strand at the time of replication because of this rule. There are many chemical bonds that produce the double helix DNA but the hydrogen bonds and the covalent bonds between sugar and phosphate play a vital role. The model for double helix DNA also makes it very apparent that there has to be a relationship between the linear ordering of nucleotides in DNA molecules and that found in the amino acids of proteins. Watson and Crick’s double helix DNA model is now bearing full fruits with DNA experts acquiring the ability to sequence genes. It’s this ability to manipulate DNA that has resulted in many breakthrough solutions in the biotechnology sector.